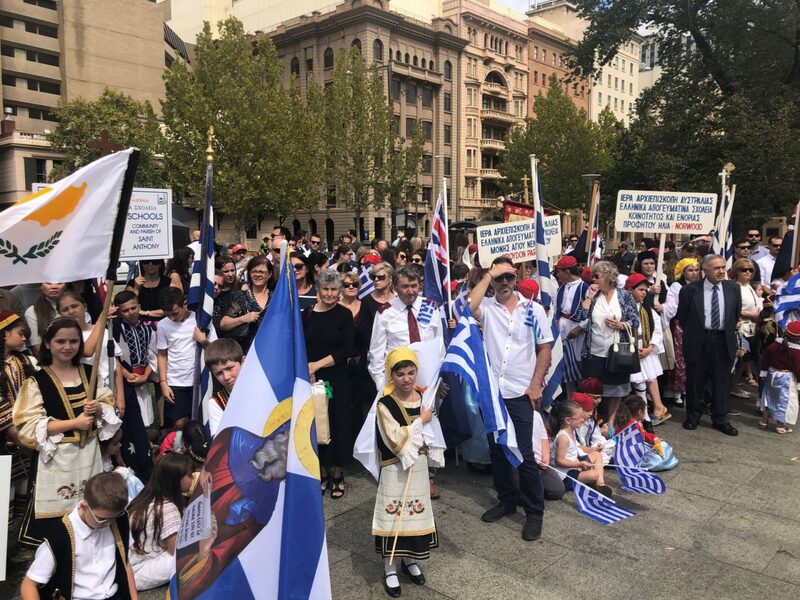 An astonishing number of Greeks and Australians came together today in Adelaide to celebrate one of the most historical days for the Greek nation, the 25th March National Day. 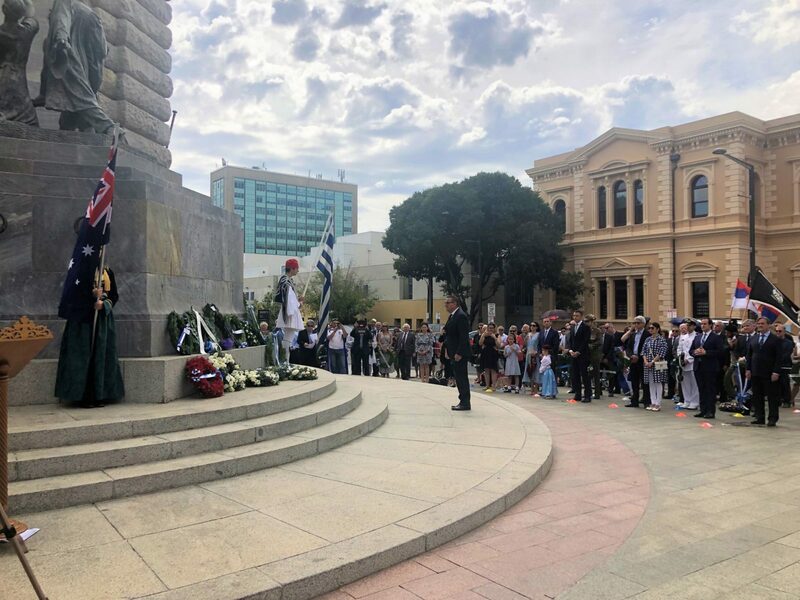 With Adelaide’s glorious weather on their side, a number of Greek Australian students, proud parents and grandparents as well as members of the Greek and Cypriot communities in South Australia, gathered at the War Memorial to pay their respects and take part in the annual Greek Independence Day parade. 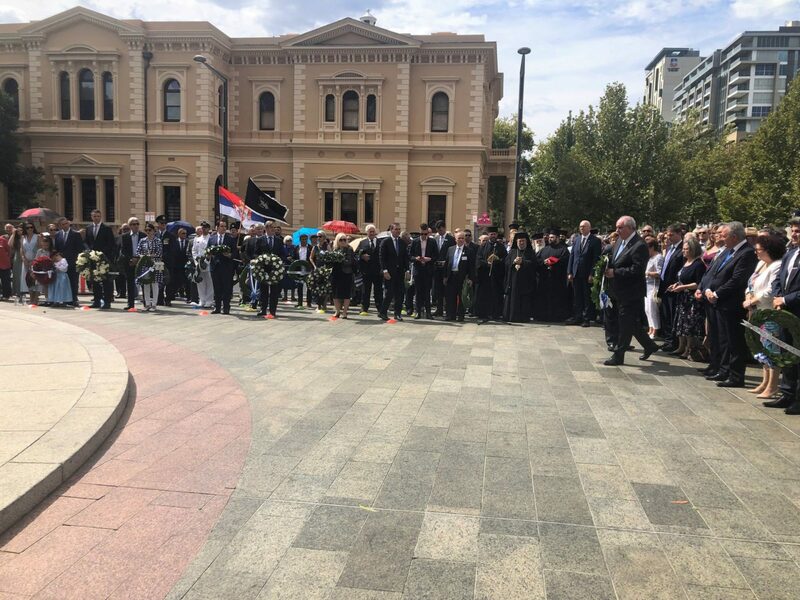 The Governor of South Australia Hieu Van Le, South Australia’s Premier Steven Marshall and Head of the Opposition Peter Malinauskas laid a wreath and attended the commemoration ceremony initiated by His Grace Bishop of Doryleon, Nikandros. 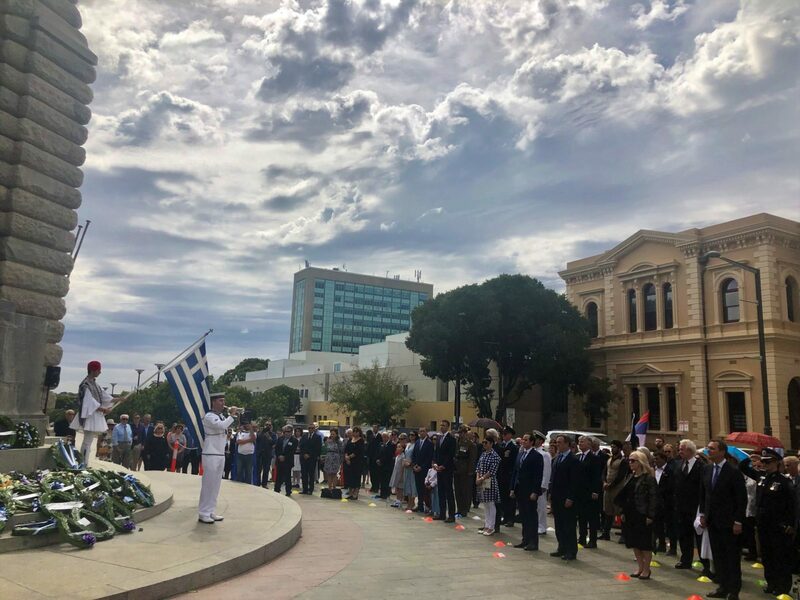 Deputy Minister of Foreign Affairs, Terens Quick, together with Cypriot Presidential Commissioner Fotis Fotiou, Ambassador of Greece to Australia Ms Aikaterini Xagorari and High Commissioner for Cyprus Martha Mavromati, also attended together with the newly appointed Consul General in SA, Mr Giorgios Psiahas. 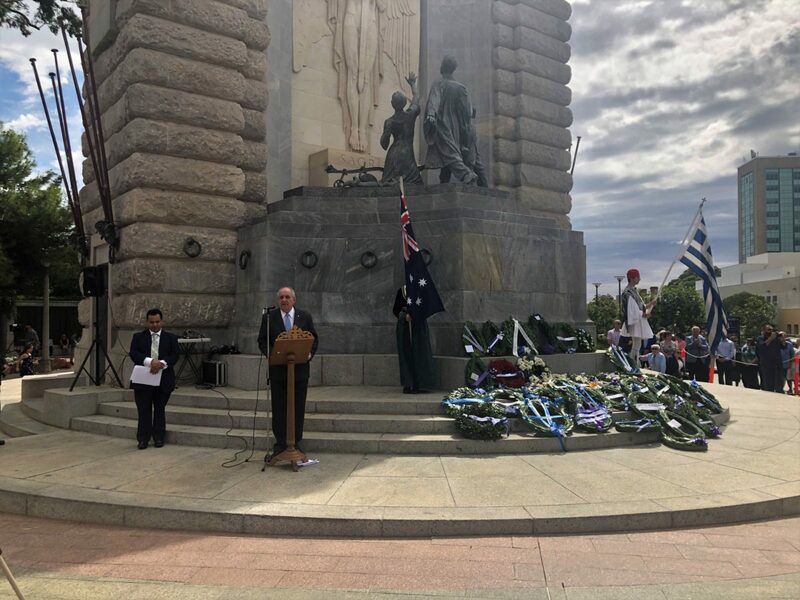 “On behalf of President of the Hellenic Republic Prokopis Pavlopoulos, I would like to express our nation’s gratitude towards the Diaspora whose input to Greece had been invaluable,” said Mr Quick, who, was publicly criticised on two occasions by members of the public for not mentioning Macedonia in his speech. 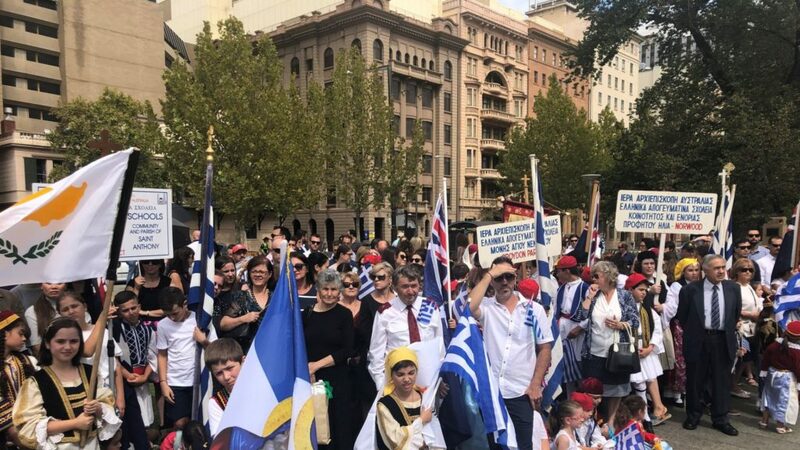 “Say something about our Macedonia,” yelled out a handful of people from the crowd when the Deputy Minister concluded, but the situation didn’t escalate further.